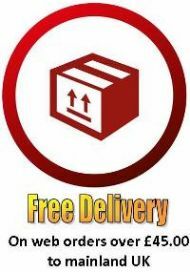 Goods will only be accepted for return for 30 days from invoice date. New parts are covered by the manufacturers guarantee. Second hand parts are guaranteed for 30 days from invoice date. Megabug will not be held responsible for labour costs or out of pocket expenses caused by defective or incorrectly supplied goods. Mega-Bug will not be responsable for return postage on goods correctly supplied. 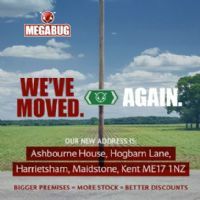 Incorrectly supplied or faulty goods will be refunded or replaced, return postage will be arranged and paid for by Mega-Bug. Sunny climate chrome products there is no warranty on the chrome finish. Our returns do not affect your legal rights. arrange collection of your old unit at your expence. blocks no bits cut off steering boxes or broken cases.